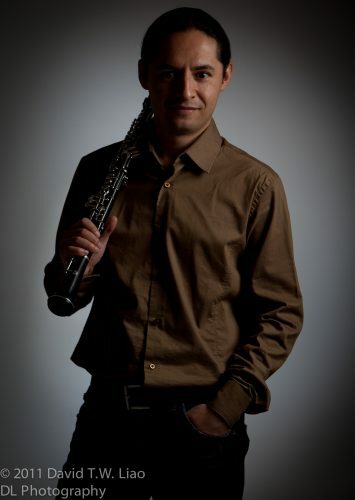 Oboist Geronimo Mendoza is currently a member of the Vancouver Island and Vancouver Metropolitan Orchestras, and is frequently seen onstage with the Vancouver Symphony Orchestra, the Vancouver Opera, the Calgary Philharmonic Orchestra, the Kamloops Symphony, the Vancouver New Music ensemble, as well as other professional music ensembles in the Lower Mainland. As a former member of the Mexico City Philharmonic, he has worked with renown artists and conductors, and has been on tours in Europe and Asia. He has attended international music festivals, working with world-celebrated artists John Mack, Ray Still, Alex Klein, Louis Pellerin, Isaac Durate, Ingo Goritzki, Christoph Lindemann, Charles “Chip” Hamann, Emanuel Abbuhl and the London Winds. As an educator, he has accumulated over a decade of experience, and has held positions as oboe teacher at the Escuela de Iniciacion a la Musica y la Danza (Mexico City), and Assistant Professor of Oboe at the Escuela de Musica Vida y Movimiento (Mexico City). He is an award recipient of the BC Arts Council, and a three-time grant recipient of the Mexico Arts Council, as a professional solo-artist and chamber musician.